Jordan Fensterman is a Partner in the Health Law, Corporate, Physician License defense, Litigation, and Employment Law departments at Abrams, Fensterman, Fensterman, Eisman, Formato, Ferrara, Wolf & Carone, LLP. His primary clientele include health care providers and organizations, large companies, small businesses, and web-based organizations. A primary area of emphasis in his practice is helping clients who have been contacted by the NYS DOH Office of Professional Medical Conduct (“OPMC”) and the NYS Education Department Office of Professional Discipline (“OPD”). Mr. Fensterman frequently travels to the Department of Health offices to represent doctors and P.A.’s in matters related to OPMC investigations and hearings. He travels to all the downstate NYSED OPD office representing and defending dentists, nurses, pharmacists and various other licensed professionals in Office of Professional Discipline (“OPD”) investigations and hearings. Mr. Fensterman also represents nursing homes and assisted living facilities in regulatory and compliance matters. In addition to basic legal representation, Mr. Fensterman provides counsel and guidance to his clients and is readily accessible. As a passionate and dedicated attorney, Mr. Fensterman maintains a steady focus on his clients' individualized needs and he prides himself on being able to come up with unique and creative solutions for them. Mr. Fensterman provides counsel on employment agreements for employers and employees across a wide array of businesses. He works with individual physicians and physician groups on all matters relating to employment and partnership agreements. Mr. Fensterman also counsels his physician clients in relation to general business disputes. Mr. Fensterman received his J.D. from Hofstra University School of Law, where he served as the President of the Hofstra Health Law Society for a period of approximately two years. 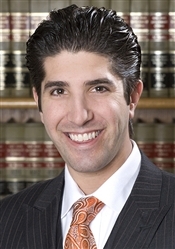 He is a member of the New York State Bar Association, the Nassau County Bar Association, and a member of the Nassau County Bar Association’s Health Law Section. In 2017 he presented in a program sponsored by the New York State Bar Association on a panel with lawyers from OMIG, CPH, and OPMC regarding Collateral Consequences of Medical License Disciplinary actions. Mr. Fensterman has been selected as a "Rising Star" in New York Health Care Law by "Super Lawyers" every year since 2014. Each year, no more than 2.5% of the lawyers in the state are selected to receive this honor. Mr. Fensterman is admitted to practice law in the State of New York. Mr. Fensterman maintains offices in Lake Success, Brooklyn, Manhattan, and Rochester. Maurice A. Deane School of Law - Hofstra University, J.D.